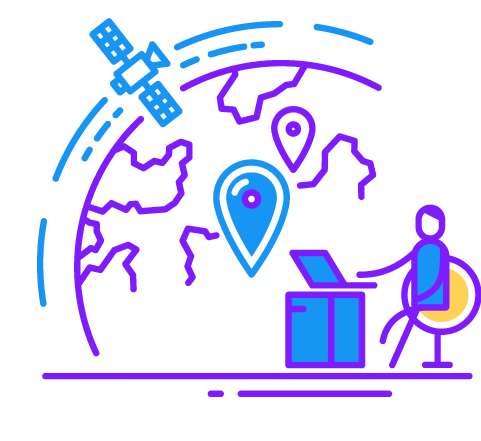 Our unlimited satellite internet services are for individuals and organizations who want the freedom to use internet as much as they want at very competitive price. No volume restrictions. No contracts. Just buy the pre-paid vouchers from Broadsat or a Broadsat Partner. After activation, the vouchers are valid for 30, 60 or 90 days. To use the services you need an MDM2200 or MDM3100 Newtec Kit. An MDM2200 kit is suitable for a small office (up to 20 devices connected), an MDM3100 Kit for a large business (over 20 devices connected). you can easily change the modem and realign the dish to point at a different satellite. The MDM2200 terminal with its iLNB can be mounted on a one-way dish.